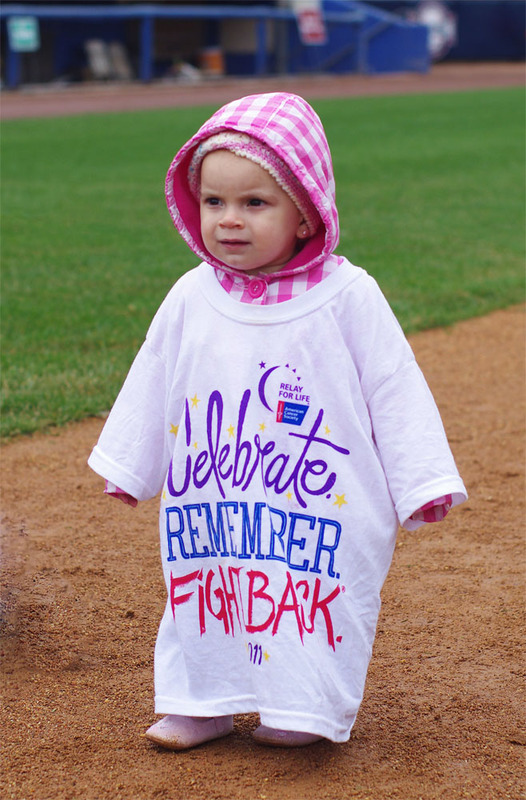 Here is one of the smaller relayers from the Southeaster CT Relay For Life, where it rained over 2″ in 24 hours… the 24 hours of our event of course. Even though the weather kept many people away, and turned the warning track off Dodd Stadium into a warning pond, over $82,000 was raised to help the fight against cancer. Thank you to everyone who made the event possible!